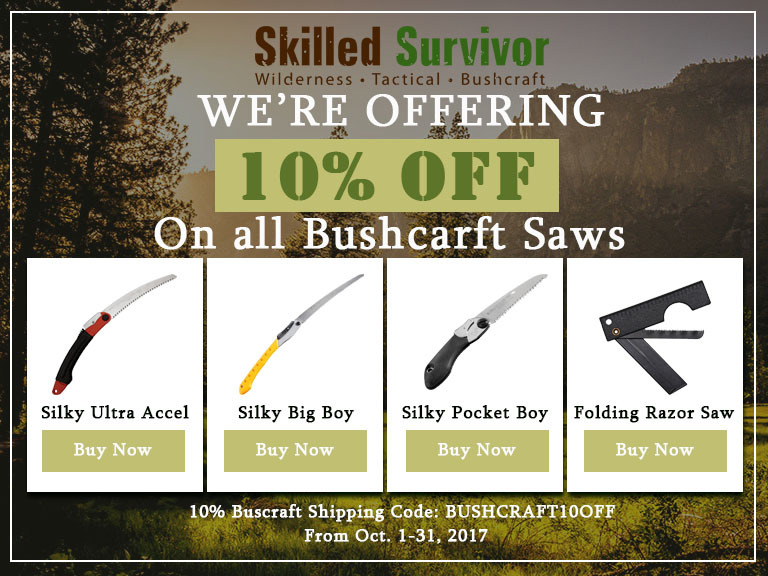 Through the month of October claim your 10% off discount on all SkilledSurvivor Bushcraft Saws product. This includes high-quality Bushcraft Saws featured on our online store. Just enter “BushCraft10Off” to claim 10% off on your order. This discount coupon code will only lasts until October 31, 2017. Coupon code is limited to one time per customer. Visit Skilled Survivor Shop to claim your discount.